Its been over a year since Luiz Felipe Scolari was seen crashing out of the 2014 FIFA World Cup in humiliating fashion. Tasked with guiding hosts Brazil to their sixth Championship the ‘Selecao’ were instead humiliated by eventual champions Germany in a semifinal 7-1 trashing. It was an unexpected beat-down similar to the time Bane broke Batman’s back. And arguably the worst defeat suffered by Brazil. Adding insult to injury the ‘Sete a Um’ debacle was followed by a third place 3-0 defeat against the Netherlands. Having received 10 goals in two games Brazil finished the World Cup with the worst defensive record of any tournament they had ever played in. By this point ‘Big Phil’ should have left Brazil in the dark of night. Instead, Scolari braved the storm and remained in a nation where he had coached long enough to become a villain and took over the reigns of Gremio. Perhaps Big Phil was trying to relieve past glories. At Gremio he had managed to win six titles in three years including the 1995 Copa Libertadores. That was then, last May Big Phil resigned without being able to win any championships. Sometimes an easy score is needed in order to get over a slump. Fortunately for Phil he found such a score at Guangzhou Evergrande of the Chinese Super League. 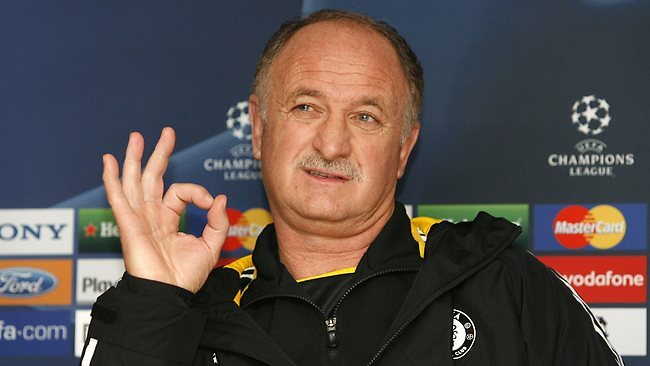 Scolari arrived at Evergrande in June to replace Italian legend Fabio Cannavaro. The Brazilian soon got the team firing on all cylinders and guided the club to its fifth consecutive league title. The club’s championship win also earned him the country’s manager of the year award. This could be the boost Big Phil needed to get his confidence back. The 67 year old manager could retire with one last glory or he can attempt another shot at the big leagues. Only time will tell.